CHICAGO —As Facebook approaches 2 billion users globally, CEO Mark Zuckerberg said the company is expanding its mission from connecting the world to getting users to engage with it more both on and offline. 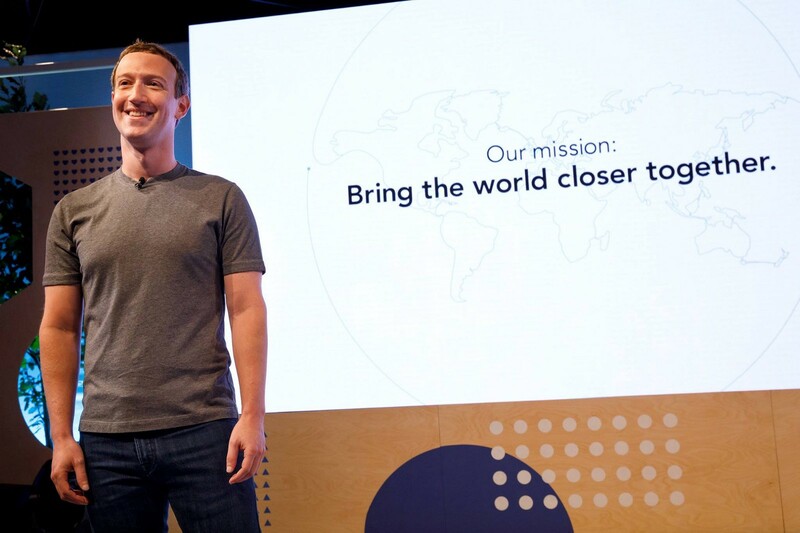 “We’re going to change Facebook’s mission as a company… to not simply connect the world but bring people closer together,” Zuckerberg said during his keynote address at the Facebook Communities Summit in Chicago on Thursday. But where did this new dedication to strengthening communities, using its Groups tool in particular, come from? It’s not necessarily growth — Chief Product Officer Chris Cox said during his remarks that of the billions of people who use Facebook, only 100 million were in active groups last year. And when Facebook shifted its attention to this somewhat neglected part of the platform, they were able to increase group memberships by 50%. That’s a huge bump — and Cox said it’s just the beginning. Cox outlined a wide range of new tools being made available to group administrators, making it easier to manage members and post content, among other things. “To many of us, Groups is the most interesting thing happening,” Cox said during the summit. Facebook isn’t very forthcoming about how active Groups are as part of the platform. Their own numbers say “tens of millions” of people use them- which is no small number — but on the scale of such a huge platform it’s clearly not that a big part of its business. Wherever Facebook’s attention has been over the years, Groups have remained an active — if overlooked — part of the platform. Multiple administrators shared their stories at the Summit of how they are able to create a space to do everything from building a support network for families of veterans to giving bird lovers a place to notify each other of rare sightings. Mom Groups provide a space for new parents to connect in their neighborhoods. This community aspect has always been there, and in a way this recommitment to Groups and building communities takes Facebook back to its origins. That’s not to say that everything on Facebook is antisocial. Activists have been at the forefront of taking these social media tools and using them for social causes, as we’ve seen in movements across the world. It could be that Facebook’s recommitment to Groups is an acknowledgement of this, but also a more small-scale approach to community building. Protests are a good way to build political capital, but social capital in the traditional sense is built on a much smaller scale, through book clubs and bowling leagues. There must be some business reasons behind this utopian commitment to community as well. Anecdotally, many people I know are getting turned off from Facebook over a combined concern over their own “bubbles” and general distaste for comment surfaced by its algorithm. After all, it’s easy to measure engagement, but it’s hard to measure how worthwhile a person feels a given piece of content is. Perhaps even more than media companies, Groups provide a very specific type of content to people who have opted in and are clearly interested. And if their users engage with this content even more, Facebook wins. Either way, it will be interesting to see where this recommitment to Groups takes Facebook, given its other mission of connecting the world has it building drones to beam Internet down to unconnected areas. What happens when that amount of imagination and resources is deployed to help everyone from birders to new moms build stronger communities?